A few weeks ago, I had coffee with a friend of a friend, who turned me on to a company that her cousin has started (is that enough degrees of separation?!) out of Seattle. 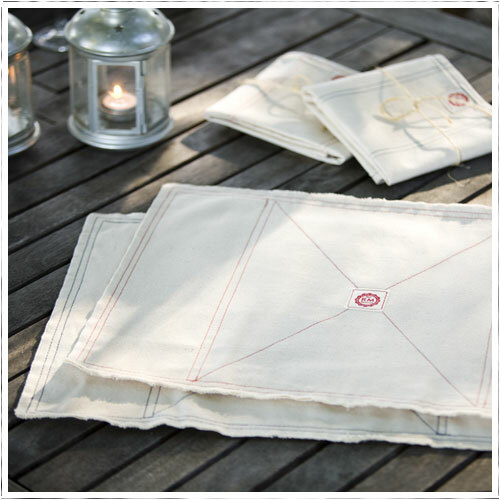 Well, I went right to the Raw Materials site when I got home and was instantly impressed by the sturdy quality and simple, classic, natural style of her kitchen linens and totes. 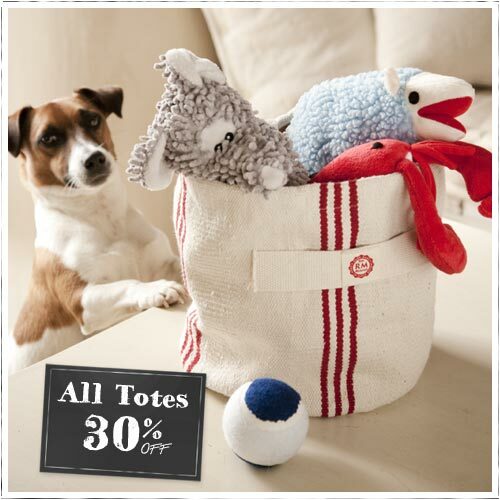 Their motto is "Simple, durable goods for you and your home." I'm all over that. 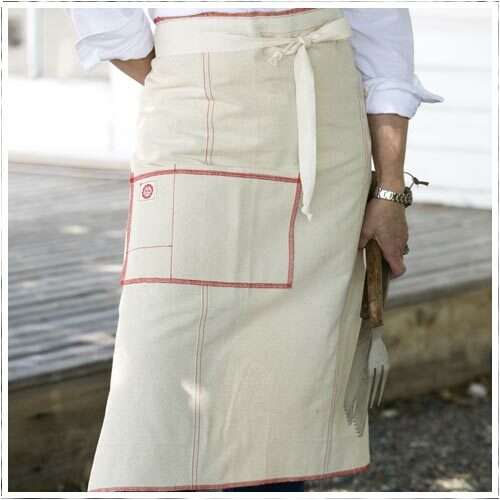 The aprons, placemats, dinner napkins, and dishtowels are 100% cotton, with raw edges that fray and get soft with every wash. 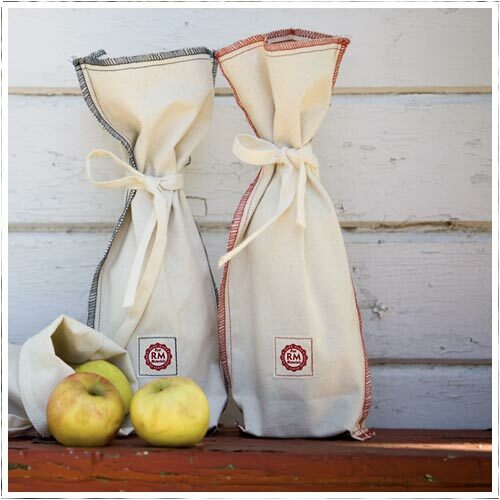 They also introduced a new serged edge, with red or navy stitching. So chic! And practical yet beautiful. I'm in love. Did I mention everything is totally American made? Just a little added bonus for you. Beautiful! I love the organic rustic look! 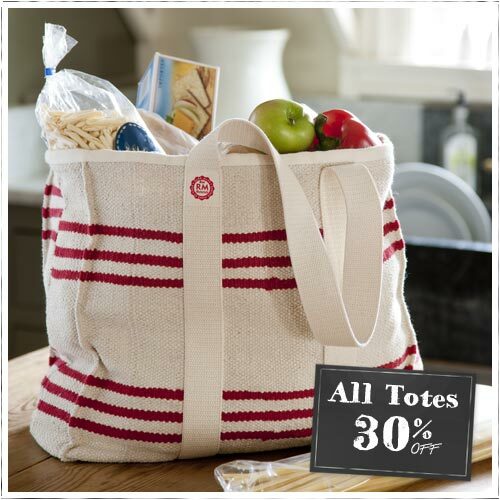 Must get my hands on one of those pretty totes! This is right down my alley. Thanks for the link!